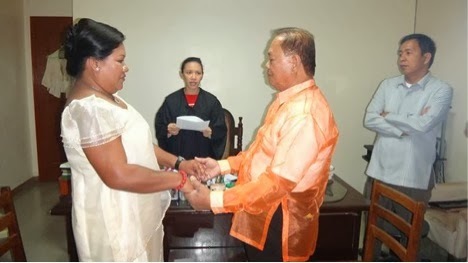 MTCC Branch 1 Judge Rosalie Digao-Platil stresses the importance of good Christian values as the ideal virtues for being "a man and a wife" as she officiates the civil wedding of Ms. Sarah Portillo Lira and Mr. Policarpo Honor, Jr. on Jan. 24, 2014 inside her chamber. Also shown in photo is Surigao del Norte Vice-Governor Arturo Carlos Egay, one of the principal sponsors/god-parents of the couple. It was a ‘May – December’ love story which all started with a single text from the ubiquitous cellphone that knew no boundary and age difference as far as exchanging of thoughts, messages and ideas was concerned. Sarah was then 48 and Jun (as Policarpo Jr. is fondly called by friends) was 75 when they first met through the ‘help’ of the groom’s daughter Jean Honor-Paulin. It was Jean (also known as “Daday”) who gave Sarah’s cell number to her father Jun, a retiree from the Bureau of Telecommunications, an attached agency to DOTC. A WEDDING PORTRAIT WITH HAPPY FACES. 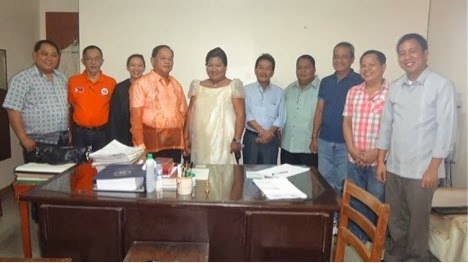 From left to right: Principal sponsors/god-parents Publisher Roberto Parada, Jr. of Caraga Aksyon Balita, City Administrator Manuel Coro, Judge Rosalie Digao-Platil of MTCC Branch 1, newly-wed couple Policarpo Honor, Jr. and Sarah Lira-Honor, Datu Mansusulog Jaime Matugas, City Councilor Baltazar "Batang" Abian, Sr., Punong Barangay Lucresio Mesias of Brgy. Lipata, Punong Barangay Christopher Bonite of Brgy. Washington and Vice-Governor Arturo Carlos Egay, Jr. of Surigao del Norte province. Not in photo are principal sponsors P/Supt Joseph Nohara, deputy provincial police director, and Kagawad Edna Lopez of Brgy. Washington. The 27 years in age difference did not matter as Sarah and Jun found a common passion in the Barangay Justice System, she being an incumbent Lupon member of Brgy. 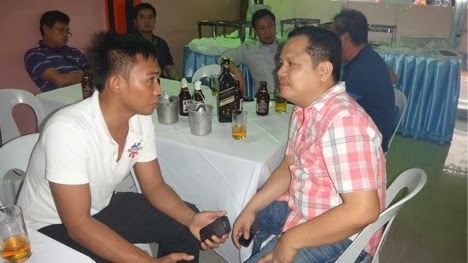 Buenavista and Jun was a former outstanding Lupon member of Brgy. Washington. After all, she had a fair background in law enforcement having been the General Secretary of Surigao City CVO and the Surigao City Volunteer Fire Brigade during the PC/INP time of then P/Lt Col Rolando Pancito and F/Lieutenant Antonio Agner, police station commander and city fire marshal respectively. Least to mention, her being a holder of a police eligibility administered by the National Police Commission in 1990. As fate would have it, the two inseparable ‘textmates’ later met on a momentous affair last Feb. 2, 2013 when she formally accepted Jun’s proposal. A former teacher at the Sun Yat Sen Elementary School, Sarah has a 29-year old son named Jyson who is still a bachelor, while Jun has six offspring- with two sons and two daughters already married and the other two sons still single. The idea of a January 24 wedding this year was broached by PP/Chief Insp Eugenio Lira, Jr. and SJ01 Genelita Lira-Mejia, siblings of Sarah, who were very supportive to her. 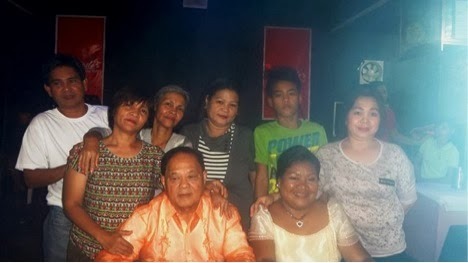 Jun Honor’s family was also ecstatic of the date when their beloved patriarch would exchange vows with Sarah, the ‘chosen one’ of the former’s daughter Daday. January 24 was a Friday and the wedding venue which was the Branch 1 of the Municipal Trial Court in Cities inside the Surigao City Hall Compound was packed with ‘Who’s Who’ who generously stood as god-parents/principal sponsors of Sarah and Jun, namely, Surigao del Norte Vice-Gov. 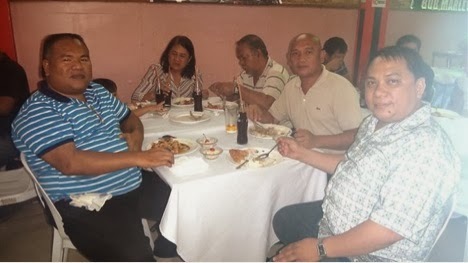 Arturo Carlos Egay, Jr., City Councilor Baltazar Abian, Sr., City Administrator Manuel Coro, businessman Jaime Matugas, Publisher Roberto Parada, Jr., Punong Barangay Christopher “Boyet” Bonite of Brgy. Washington and Punong Barangay Lucresio Mesias of Brgy. Lipata. Deputy Director P/Supt Joseph Nohara of the Provincial Police Office and Kagawad Edna Lopez of Brgy. Washington had earlier told of their unavailability on the said date but, however, they signified their interests to be included in the official list of the couple’s god-parents/principal sponsors which was submitted to the officiating judge. It was a very pleasant afternoon as MTCC Branch 1 Judge Rosalie Digao-Platil had light moments with the bride, groom and the god-parents/principal sponsors prior to and after the civil wedding. The ambiance inside the chamber was warm and genial. During the civil rite, the amiable female judge, who was obviously the youngest among the persons present inside her chamber, stressed the importance of good Christian values as the ideal virtues for being "a man and a wife" as she officiated the union of Sarah and Jun in the presence of witnesses at about 4:00 p.m. Couple Sarah and Jun together with their god-parents at the presidential table inside the classy and air-conditioned Comedor Resto-Bar. 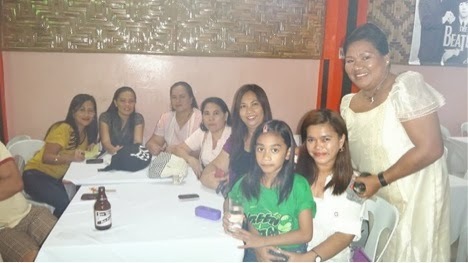 Sumptuous dinner, through the catering service and air-conditioned venue of Comedor Resto-Bar along Borromeo St., this city, subsequently followed and was well-attended by the god-parents/principal sponsors, the newly-wed couple’s respective families and dozens of invited guests and friends. During the reception, it was Comedor Resto-Bar’s ‘live band’ which provided an electrifying entertainment to everyone’s delight. In sum, it was truly magical to note that a simple ‘text’ may lead to the union of two longing hearts which would later make the protagonists “live happily ever after” despite nearly three decades of age gap. Newly-wed couple Jun and Sarah together with the groom’s family. Shown in photo are PP/Chief Insp Eugenio Lira, Jr., PP/Superintendent Froilan Caturla and Caraga Tri-Media President Roberto Parada, Jr., one of principal sponsors. In their background is educator Dada Mesias, wife of Lipata Brgy. Captain Lucresio Mesias, together with a guest. Bride Sarah Lira-Honor is all smiles as she poses with a bevy of beauties during the reception of 'Sarah Lira-Policarpo Honor, Jr. Nuptials' in the afternoon of January 24, 2014 (Friday). LAMPORNAS! Balita columnist Dixon Gonzales in tete-a-tete with Washington Brgy. 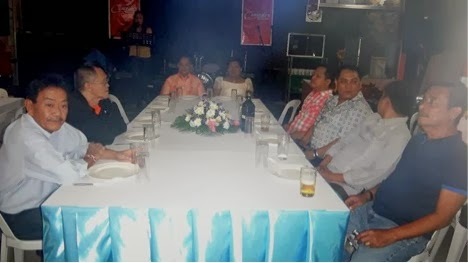 Captain Christopher "Boyet" Bonite at Comedor Resto-Bar during the reception of 'Sarah Lira-Policarpo Honor, Jr. Nuptials' on the afternoon of January 24, 2014 (Friday).